There’s no better place to look for upcoming makeup trends than the runways they make their debut on. And this year’s Virgin Australia Melbourne Fashion Festival had some absolute hits. Our lead professional makeup artist Jo Spring was the only makeup artist in Queensland selected to be part of the makeup team in 2019, making everyone here at TWIDALE so proud! All of the below makeup looks were directed by the exceptionally talented Sarah Laidlaw and executed by our very own Jo Spring. The Gorman fashion show was a big start to a full week of runway events, featuring 47 models with 47 custom looks. Jo worked on this stunning musk-coloured eye complemented by a metallic lip and dewy, bronzed finish. Electric, vibrant and so much fun. Day 2 for David Jones brought us perfected skin and a glossy lip with a clumpy lash. Laidback but polished. 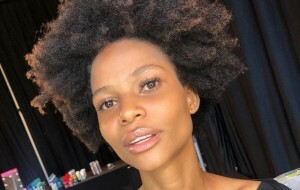 For the Vogue Australia runway on day 3, we saw perfected skin again but this time with muted peach tones on the eyelid and just below the cheekbone. We love the understated elegance of this look. 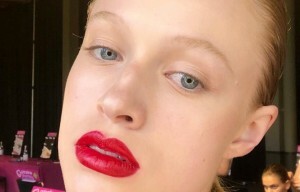 On day 4, the runway show for Harper’s BAZAAR Australia gave us a banging red lip using Loreal’s lipstick in shade 364 against a pared-back base. The Carla Zampatti show debuted a dramatic distorted wing with airbrushed skin and sleek hair. We’re loving the drama of this look. The National Graduate Showcase on day 5 gave us this stunning cracked metallic eye. If there’s just one look we can’t wait to recreate back in Brisbane, it would be this one. 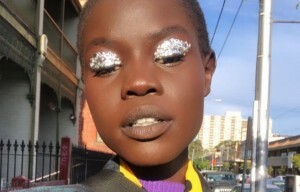 Runway 6 for Fashion Journal Magazine featured metallic painted swipes across the eyelids, along with perfected skin. 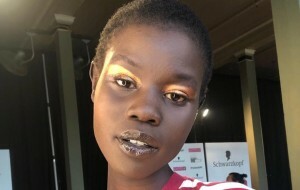 One of the final runways of the week, again for Fashion Journal Magazine, presented a bold, negative-spaced rounded-wing eyeliner look, paired with a subtle metallic swish. We can’t get enough of the beautiful details in this look. If you’d like to see any of these makeup looks on yourself for an upcoming special event, contact our team. 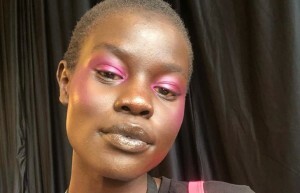 Our lead professional makeup artist Jo Spring, who worked on these looks at VAMFF, is an expert at balancing experimental styles with elegant makeup techniques that will enhance your natural beauty. You can book your appointment at our Brisbane salon online now.